Reward awesome chess moves with this Chess Champion Recognition Plaque! 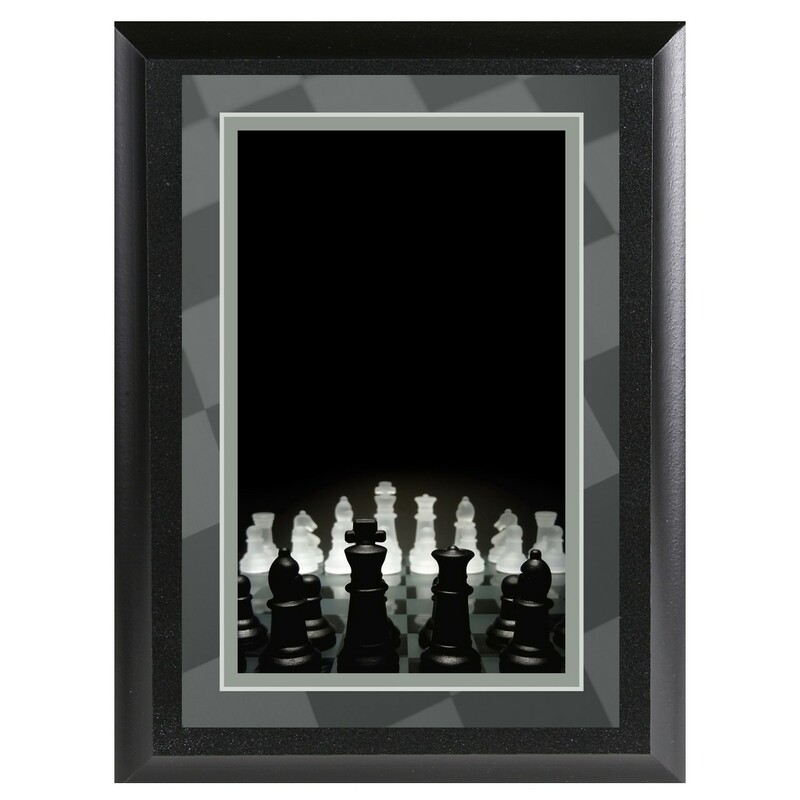 Featuring a full set of chess pieces under a focused light and a checkered border, this cool plaque is truly a checkmate! Attached to a black beveled plaque board this plaque will hang securely on any wall. Choose from 2 sizes and add up to 5 lines of engraving for FREE!